Do you want to live in that same place that Eckhart Tolle does? Where Presence never actually leaves you even when things are happening in your life that is quite crappy, painful, fearful all those sorts of situations? If so Tap/click (touchscreen computers tap screen) the picture to watch me describe what we do. This skill list is what will bring you to living easily in Presence under the Eckhart Tolle’s method. Bust the unnecessary myths about Presence, emotions, the ego so you can actually live in the Peace of Presence faster. All of these are covered in this website and in coaching / mentoring if you want personal assistance. If Eckhart Tolle’s teaching in the Power of Now, New Earth and Stillness Speaks resonates with you then if you apply it correctly then you can fully awaken in a few short years. I fully and permanently Awoke in five years using Eckhart Tolle’s methodology. With personal coaching you will master all of these much faster as you have access to direct clarity on your process and issues that need navigating. Correct Presence practice: Presence is a conscious choice. To enter Presence one has to activate all your neurology in your body. Practice needs to be as Tolle states, from the body to the inner-body and then into the subtleties of Presence. Presence is not a thinking, reasoning, or mind knowledge. Activation and holding of Presence so you are fully associated is what will establish this as your base of behaviour. Just as your breathing is natural, you will learn to live in Presence in the same way. It is a habit and a re-training of your deeply rooted unconscious that learned the bad habit of being unconscious. Dissolving the Pain-body: Even a heavy pain-body will be dissolved within 2 years. Tolle states this in his Living the Liberated Life and Dealing with the Pain-Body CD that was released in 2001. When you understand what the pain-body is it can then be worked with and embraced. The emotional baggage of the past will be released quickly. To do this is a learned skill. This trains you to be able to hold your emotions in life when dealing with people in tough situations. Remembering to remember Am I present? This is the most important factor that will determine your progress to living in the same place of Presence that Eckhart Tolle does. To remember is the spark that gives you the option to check-in and embody your Presence. This remembering to remember is an unconscious recognition. Thankfully we have other ways to make this conscious, like phone or computer reminders, videos (like I have in this website where I ask and guide you in every video) and audio that you can use when doing simple activities in life. Remembering to remember is a key Law of Grace, where the laws of Grace are the direct principles of Awakening. Developing Emotional Intelligence: To be able to hold emotions in Presence gives you the ability to be fully functional in all of life’s tough times. Presence gives you the space to feel and transmute your emotions. This improves your life as you are easier to be around and people cannot knock you off your centre. You stay resourceful in tough situations. Being grounded: To be grounded means you are associated into your body. You can feel your body’s status and sense clearly what is required. Being grounded may feel nice or feel horrible due to physical pain. When you are grounded it give you distance form the mind. This is important as it helps reduce that old tendency to be identified with your mind’s activity. The body’s neurology is what helps you access Presence. If you are lost in mind or ‘floating’ out of your body you cannot access Presence correctly. Can you imagine how different life would be after a decade of non-stop Presence? I entered Abiding Awakening, the place where Presence has never left me, at the end of 2007 which is over 11 years ago. In that time my Presence, peace, joy and has deepened significantly. I’ve acutely observed what factors that make this journey work or fail. I’ve researched with myself and others what habits, beliefs, spiritual myths, incorrect teachings and other factors that stop people progressing when it could be a lot easier and faster. There are many distractions that can literally take decades to navigate and awaken beyond. This is the gift of coaching / mentoring, it wipes the distractions away as I help keep you focused to develop your awareness with the bad habits and distractions seen for what they are. When you’re clear on what Presence is, and what is you have to do to activate that habit, the trip home to properly Awaken is actually pretty fast. I myself did it in five years from first hearing about Eckhart Tolle in late 2002. Before the end of 2007 I permanently Awoke. I didn’t know that at the time, it just seemed like a good cycle of my Presence practice. In late 2002 started doing what I thought was Presence practice as described by Eckhart Tolle. As a novice my practice of being was incorrect and all in the mind. Being an intelligent person my mind as my favourite tool. It took me years to undo the traps of the mind. Even with the personal assistance of an Enlightened teacher I had to work through the many layers and traps of the mind. (Video explaining this at footnote (3)). Have you met or read comments in the facebook groups where people use their mind as a weapon? In this video I answer that challenging question of ‘Who Am I’ and who is the chooser, who is the owner. While these are great questions these things can be defined with clarity. It is about your relationship to Presence, not the thinking mind, or what a teacher said, as the mind makes a mess of this and keeps you lost in NON-Presence. There is such a lot of misleading spiritual rubbish to sort through. If what is in this website and videos resonate then coaching / mentoring may be ideal to help you cut decades of your Awakening. One of the key aspects to my fast and durable Awakening was I started that all important habit of being consistent in my efforts with practising Presence. I listened to Eckhart Tolle’s Power of Now audio each day to assist my entry into Presence. Learning to practice properly is critical. When you know how to practice correctly the trip home is actually quite smooth and fast. That’s why on this website I say 2 to 4 years to a fairly advanced degree of Awakening. It’s not completely permanent at that point but it’s most of the way there and you’ve done the hard ‘yakka’, the hard work. The pain-body is will be dispatched within 18 months approximately. After that it’s just a matter of those Laws of Grace being implemented and kicking on with practice. It will happen! One day your Presence practice just simply doesn’t work. Why is that? Because you’re already here as Presence! As you go through the journey of learning and stabilising in Presence there are the seasons, the cycles, there are good days there are bad days. There are certain things that really only happen on the Awakening process that can’t be described until you’re right there in that pothole. That’s where I come in really handy as well having been through all that I know and I can help you through it. These things are fairly obvious to me when I’m working with people. The blockages are easy for me to see and I’ll ask the right questions to make them obvious. So if you’re keen make contact even pick up the phone and we’ll have a chat and see if this suits you. Then you can stabilise there and once you get into that place of Abiding Stillness. Abiding Presence is quite a different journey to the effort it takes to get there. Abidance as Presence is actually quite a shock. Thankfully you have found Eckhart Tolle and his practice because you lay the building blocks so when you do land in that place of Abiding Presence you actually don’t become dysfunctional like he did and run out of money (etc). To have to borrow money from friends so you can feed yourself is not functional, Eckhart had to do this! You will be stable, you will be able to hold your normal job. Yes, a normal job in ‘ego land’ as the Tolle peeps say in the facebook groups. You will be able to relate to people that don’t know Eckhart Tolle’s teaching. As long as you are connected to your Presence it is all fine, that helps them. It’s an integrated way to do it and when you’ve got someone that’s been there as a coach and has lived there permanently for over a decade. Also what makes this trip faster for you is you can bounce ideas off me and clear out the clutter that has nothing to do with Presence. If you want to come home fast and your focus is primary it is quite smooth. Then if you’re doing other things like spiritual activities you can approach them correctly so they don’t slow your progress. If your Presence is primary like I show in the other videos, spiritual activities can be integrated and used. At the lake I discuss these 3 main paths and how they can either assist or hinder your homecoming to Presence. Presence is measurable! Let’s be clear about this and that’s why I talk about the Laws of Grace. You can measure your Presence. One of my favourite sayings at the moment is “what happens when you stub your toe and you crack your nail and it starts to bleed?” I know from experience that my first reaction is to enter Presence then as the pain rips through my body, yes, I will probably yell out a swear word. It’s been human, you don’t stop being a human. There is no ideal perfection to be like Jesus, Eckhart or Sai Baba. This path is to enter Presence as a new habit so it stabilises and then it becomes the core part of your life. You will still have good days and bad days but you have the peace of Presence there to be resourceful. It’s always there with you, just are you aware of it? When it stabilises life changes becomes much more enjoyable, definitely more relaxed. Your Stillness can be there with you through everything. When you’ve just had a major things like a bad accident or invasive surgery it is there. When you have just been violated by some person like they stole your car or they’ve even physically assaulted you, your Presence is your base of consciousness. An example I had in 2016 was I fell off your bike and banged myself pretty badly. My instant reaction was to be Present in the stillness as my body went into physical shock. I was able to stay calm and carefully check myself and fix my broken bike enough to get home. You still can live in that place of Presence that’s how measurable it is. In 2018 I was hit by a car, my depth of Presence has increased and I didn’t go into physical shock! Presence is very useful in emergency situations so you can function and think clearly. One of the great keys is to notice when are you not Present? Are you noticing that? This is the journey as your awareness tunes in you get better at it and better at it. My job as a guide is to help people to this place will make your trip a lot faster. If you’re curious please make contact. In the box below book a call-back or commit and get an extended session at a reduced price. It’s time to come home to the Presence that you are! (1) 2 to 4 years* is to the mid non-Abiding phase of Awakening as defined in the Awakening defined page. This is an Adyashanti definition based on the stability of your capacity to be consistent in you holding of Presence. (2) Presence in Emergencies! To hold Presence in life threatening situations means you can function and be rational. This can mean the difference between life and death. Presence can Save you! 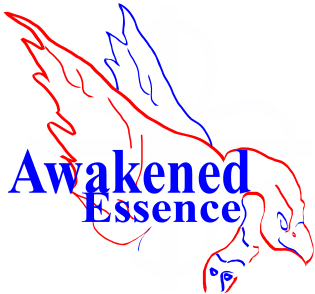 Awakening is measurable this is how, its quite an extreme benchmark of Presence. This video was taken within a few weeks after I was hit by a car on my bike. I explain how Presence helped me. It showed me how deeply into the enlightened state I have truly grounded into myself. Being hit by a car is extreme! I did go to work that day. And I was in acute pain for 3 months following. As I say Awakening is measurable and eventually it becomes durable and very real to benefit you the person! This topic will be its own page soon, until then tap the Youtube icon to the right to watch. (3) The Mind Trap! How to get out of the mind and its fantastic ability to keep you locked into thinking using Eckhart Tolle’s methodology. (4) The Motivation to Practice and Awaken! Your motivation to Awaken is key. As Sri Nisagadatta Maharaj said “how earnest are you”? Lets find out. I explain what all this means and how quickly you can get out of the suffering in this video.